Reverse osmosis (RO) is a membrane-technology filtration method that removes many types of large molecules and ions from solutions by applying pressure to the solution, when it is on one side of a selective membrane. The result is that the solute is retained on the pressurized side of the membrane and the pure solvent is allowed to pass to the other side. To be "selective," this membrane should not allow large molecules or ions through the pores (holes), but should allow smaller components of the solution (such as the solvent) to pass freely. 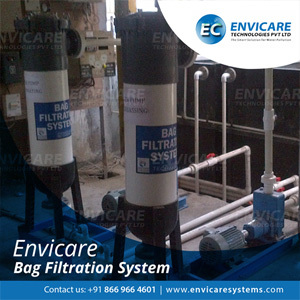 Reverse osmosis is used to purify Water and remove salts and other impurities in order to improve the color, taste or properties of the fluid. Osmosis is a natural process. When two liquids of different concentration are separated by a semi permeable membrane, the fluid has a tendency to move from low to high solute concentrations for chemical potential equilibrium. Osmosis describes how solvent moves between two solutions separated by a permeable membrane to reduce concentration differences between the solutions. When two solutions with different concentrations of a solute are mixed, the total amount of solutes in the two solutions will be equally distributed in the total amount of solvent from the two solutions. Instead of mixing the two solutions together, they can be put in two compartments where they are separated from each other by a semipermeable membrane. The semi permeable membrane does not allow the solutes to move from one compartment to the other, but allows the solvent to move. 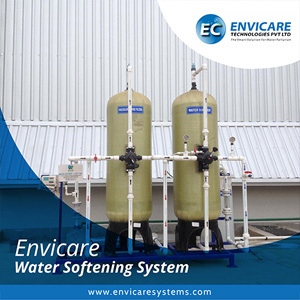 Formally, reverse osmosis is the process of forcing a solvent from a region of high solute concentration through a semipermeable membrane to a region of low solute concentration by applying a pressure in excess of the osmotic pressure. The membranes used for reverse osmosis have a dense layer in the polymer matrix where most separation occurs. Actively rejects ions and contaminants. Reduce Water that meets the most demanding specifications. Higher pressure from the pump to push the fluid through the membrane. 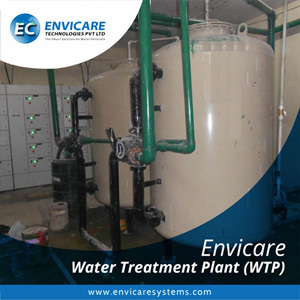 Capable of rejecting bacteria, salts, sugars, proteins, particles, dyes and other constituents. Works in various molecular weights. Around the world, household drinking Water purification systems, including a reverse osmosis step, are commonly used for improving Water for drinking and cooking. 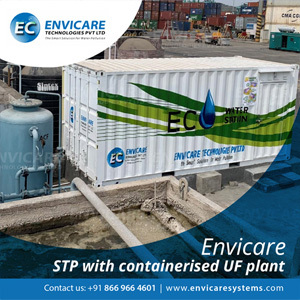 Rain Water collected from storm drains is purified with reverse osmosis Water processors and used for landscape irrigation and industrial cooling, as a solution to the problem of Water shortages. In addition to desalination, reverse osmosis is a more economical operation for concentrating food liquids (such as fruit juices) than conventional heat-treatment processes. Research has been done on concentration of orange juice and tomato juice. 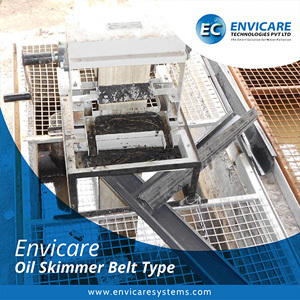 Its advantages include a lower operating cost and the ability to avoid heat-treatment processes, which makes it suitable for heat-sensitive substances like the protein and enzymes found in most food products. Because of its lower mineral content, reverse osmosis Water is often used in car washes during the final vehicle rinse to prevent Water spotting on the vehicle. Reverse osmosis is often used to conserve and recycle Water within the wash/pre-rinse cycles, especially in drought stricken areas where Water conservation is important. Reverse osmosis Water also enables the car wash operator to reduce the demands on the vehicle drying equipment, such as air blowers. 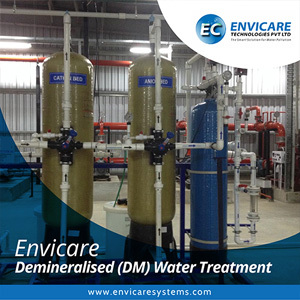 For small scale production of hydrogen, reverse osmosis is sometimes used to prevent formation of minerals on the surface of electrodes. Many reef aquarium keepers use reverse osmosis systems for their artificial mixture of seaWater. Ordinary tap Water can often contain excessive chlorine, chloramines, copper, nitrogen, phosphates, silicates, or many other chemicals detrimental to the sensitive organisms in a reef environment. Contaminants such as nitrogen compounds and phosphates can lead to excessive, and unwanted, algae growth. An effective combination of both reverse osmosis and deionization ( RO / DI ) is the most popular among reef aquarium keepers. 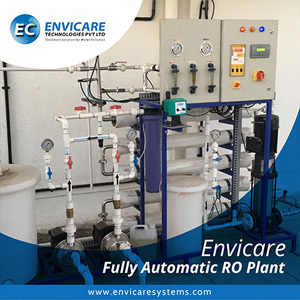 A] We offer extremely reliable and simplified range of Customized RO UF Plants. Being user-friendly and aesthetically excellent, these RO & UF Plants have become one of the coveted choices available in the market. These are designed in capacities ranging between 200 lph and 50000 lph and ever more to suffice to the discerning needs. 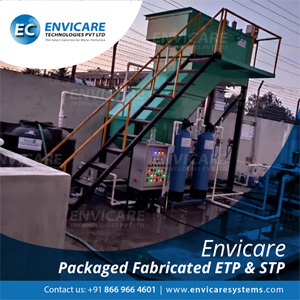 The well designed pretreatment and PLC / Controller based automation are done as per specific requirements. These are available in ‘Economy’ and ‘Premium’ versions. 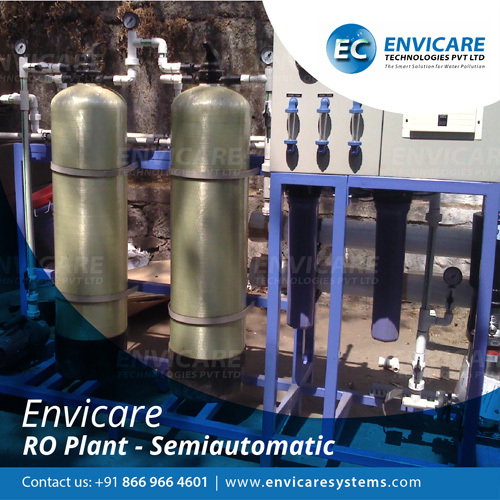 We offer fully automatic Cabinet Type RO filtration plants. These are devised and Packaged in large standardized containers making them compact and aesthetically superior. The precision equipment and other component part are enclosed in MS powder-coated box. The typical capacities of our Cabinet Type RO UF are 50, 100, 200, 500 & 1000 lph. These can also be configured in small capacities benefiting the client's requirements. Name of the Party with detailed Official address and contact nos. Source of water - Corporation / Lake / Well / Bore-well / Any other? Inlet Water TDS in mg / lit ( OR Attach raw Water analysis report )? Usage Of Water - Any specific purpose? Output Water Quality in Terms Of TDS in mg / lit?